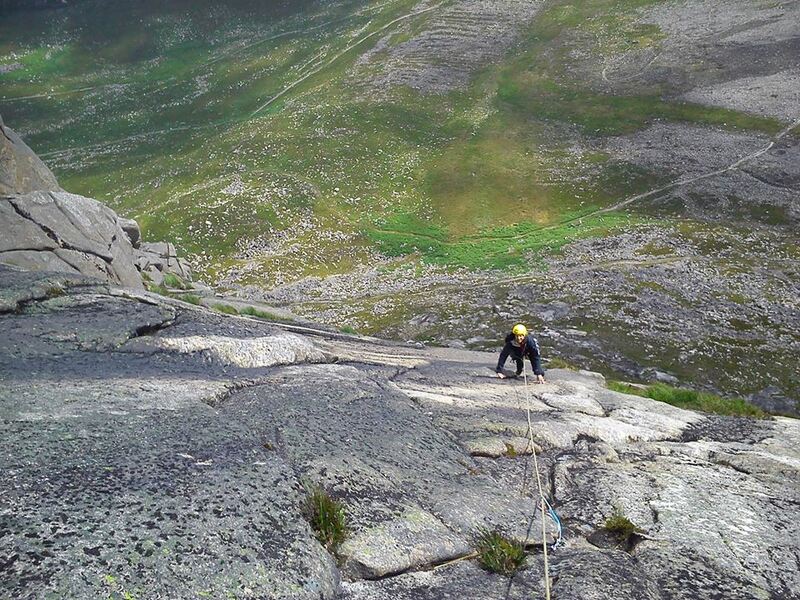 The Mournes with its perfect granite and wide range of crags and routes is a rock climbers dream. We take full advantage of this fact and utilise a large number of Mournes climbing areas on our courses. Our climbing courses are very much aimed at those who want to learn the skills to expand their own horizons and go rock climbing for themselves. The courses range from those suitable for first timers through to those with previous experience who want to become more skilled in the technical aspects of rock climbing both single and multi-pitch. In 2018, we did a lot of workj at Altndue Quarry, near Castlewellan. It now has a number of sport climbs and is is a great place to spend a couple of hours clipping bolts! All of our staff hold the necessary nationally recognised awards and on top of this have a huge wealth of climbing experience at all levels from around the globe. We hope their passion is an inspiration to you on our courses.